The index opened flat but went up to touch the highs around 7544, but saw some profit booking to the lows of the day at 7460 but close positive at 7510.20, gain of 24.05 points. The broader market was negative with 650 advances to 903 declines. The range stays at 7000-7700. 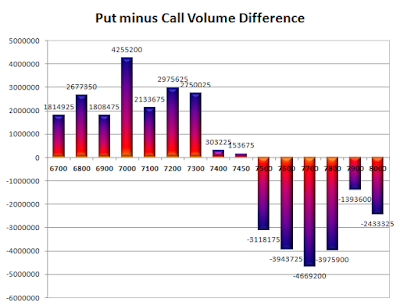 Call option 7500-8000 added 7.04 lacs OI with short covering seen at 7400 and below strike prices. Put option 7600-7200 added 10.21 lacs OI with profit booking seen at 7100 and below strike prices. 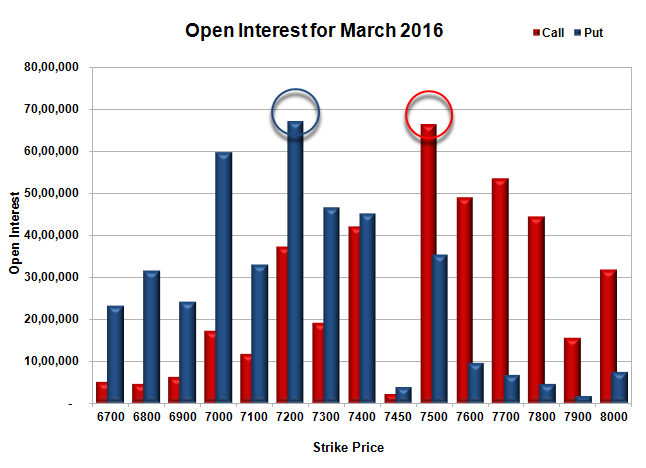 Nifty Open Interest is at 2,20,04,925 up by 2,21,250, with increase in price, most probably long build-up. Bank Nifty Open Interest is at 18,52,110 down by 37,530, with decrease in price, most probably long liquidation. FII’s bought 4.16 lacs Futures, which includes net 15726 contracts long build-up and 917 contracts short covering, with increase in net OI by 14809 contracts, includes 37585 longs to 20942 shorts for the day. FII’s Index future open contract as on date is 176810 Longs to 135204 Shorts, Net 41606 up by 16643 contracts. 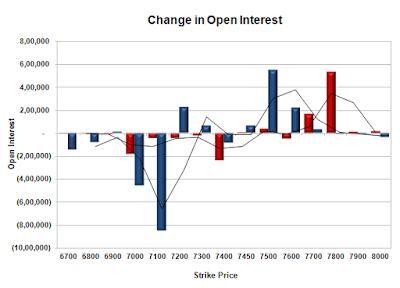 Initial support stays at 7400, with OI of 45.22 lacs and below that at 7300 with OI of 46.68 lacs. Initial and best resistance at 7500, with OI of 66.51 lacs and above that at 7600 with OI of 49.11 lacs. Day Range as per Option Table is 7418 - 7590 and as per VIX is 7443 - 7577 with 7505 as the Pivot.